When Joseph Stalin was a young man, Russian authorities exiled him to prison camps in Siberia on seven different occasions. Stalin was not easily detained. Astoundingly, Stalin is said to have escaped from Siberia six times. In 19th century Russia, criminals and political radicals were often sent to labor camps in Siberia as punishment. Vladimir Lenin spent three years exiled in a small village on the Yenisei River north of the Siberian city of Krasnoyarsk for his revolutionary activities. Although prisoners in tsarist Russia completed manual labor and faced beatings, many still managed to live relatively productive lives during their sentences. Lenin worked on a book while in exile. And the Decembrists, revolutionaries who led a failed 1825 uprising against the Tsar, lived with their wives and children during their exile to Siberia. The Soviets also used exile as punishment. In the early days of the Soviet Union, a system of concentration camps was created known as the GULAG, an acronym for the Russian phrase, ‘Main Administration of Corrective Labor Camps.’ Most of the gulag camps were located in Siberia and the Far East, where prisoners labored in mining, forestry, or building infrastructure like roads. The gulags quickly became infamous for their harsh treatment of prisoners. After Lenin died of a stroke in 1924, Stalin assumed control of the Soviet Union. In the 1930s, Stalin instigated a tyrannical campaign to purge the country of anyone disloyal to his regime. Millions of Soviet citizens were executed or sent to the gulag for crimes like speaking out against Stalin or committing minor theft. Even the lowest figures estimate that 20 million people died during Stalin’s reign. Gulag prisoners were packed into train cars on the Trans-Siberian Railroad and shipped to far-off camps in freezing cold. The long train journey was an excruciating prelude to the gulag. Once in the camps, workdays lasted as long as 12-14 hours. Prisoners were given meager rations and often slept on bunks made of wooden planks. Some told of going without blankets even in the depths of winter. Guards exercised ruthless control over the camps, shooting inmates who tried to flee and killing others for petty offenses just to instill fear in the others. Because the gulags were usually located in such remote parts of the country, even the few prisoners who escaped found themselves in vast wildernesses with few pockets of civilization besides the gulag itself. An estimated nine out of every ten prisoners died in the gulags, including many artists and intellectuals. One of Russia’s most well known poets, Osip Mandelstam, was sent to the gulag twice. During his second exile, Mandelstam died at a transit camp near the Far Eastern port city of Vladivostok. His poems were later published only because his wife Nadezhda had memorized them. After Stalin died in 1953, Nikita Khrushchev came to power in the Soviet Union and publicly condemned the atrocities committed in the gulag. In 1962, Khrushchev allowed writer Aleksandr Solzhenitsyn , who spent eight years in the camps, to publish his novel, One Day in the Life of Ivan Denisovich , about a typical day in the gulag. Solzhenitsyn’s novel won the Nobel Prize and brought worldwide attention to the Soviet labor camps. After the Khrushchev Thaw began, gulags continued to function, although to a much lesser extent, during the remainder of the Soviet Union’s existence. Although most gulag sites were destroyed, travelers in Russia can still visit several noteworthy gulag museums and actual prison camps scattered around the country. You don’t have to visit Siberia to learn about gulag life. The Gulag History Museum(16 Ul. Petrovka) in Moscow offers detailed exhibitions of life in the gulag. Museum guides dressed as camp officers lead visitors on a comprehensive tour that includes a visit to a reproduction of a camp’s barracks. 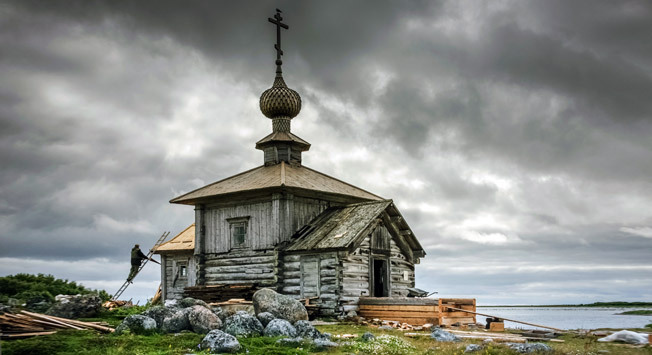 Solzhenitsyn’s classic book, The Gulag Archipelago, tells the story of the Solovetsky Islands in northwestern Russia which were transformed into some of the first and most brutal gulags. Kola Travel arranges tours to the islands that include visits to sites where prisoners were kept. The travel agency also runs a special two and a half hour tour that explains the history of the Solovetsky labor camps. Write info@kolatravel.com to organize a personalized gulag tour of the islands. A few hours west from the city of Perm in the Ural Mountains stands the remains of Perm-36 , the only former gulag in Russia that formally accepts visitors. At Perm-36 visitors can tour the buildings where prisoners once lived and visit a new museum . You can arrange a guided tour of Perm-36 in English from the museum’s office in Perm ( 10 Bul. Gagarina ). Expect to pay $50 for a tour. The museum’s website explains how to arrange transportation to Perm-36. The Russian Far East was the center of the cruelest gulags. The city of Komsomolsk-na-Amure, on the Amur River northeast of China, was built, in part, by gulag prisoners and became an administrative center for many of the region’s camps. The travel agency, Nata-Tour , in Komsomolsk-na-Amure offers a trip called Stalin Camps to former gulag sites, including railroad tracks and rock quarries where prisoners worked and cemeteries where inmates were buried. Gulag tours range from a few hours to three days. Write komsomolsknata@gmail.com to create your own tour. To really understand life in the gulag, you need to visit the Russian city of Magadan, located eight time zones east of Moscow on the Sea of Okhotsk . Prisoners once arrived here by ship to labor in mines located in the surrounding Kolyma region. The camps in Kolyma were infamous for their brutality and the high death rate of their prisoners. DVS-Tour in Magadan (3 Ul. Lenina) arranges customized gulag tours to mines and other sites in Kolyma where prisoners once worked. Contact DVS-Tour to arrange a trip.